Has The Order 1886 release date become known? It seems that The Order 1886 game - the project, announced in early summer and developed by Ready at Dawn company exclusively for PlayStation 4 - has got its release date, although unofficial one for now. 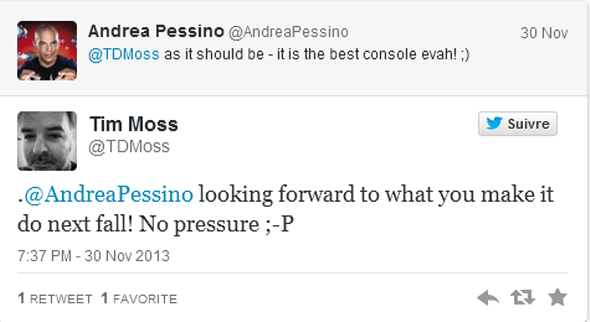 We have arrived to such a conclusion thanks to the Twitter correspondence between Andrea Pessino - Ready at Dawn founder and developer of the game’s engine - and Tim Moss - technical director of Sony Santa Monica. According to the information taken from their posts, which you can see below, it turns out that The Order 1886 game should be launched next fall, but unfortunately we don’t known when exactly. As you understand, The Order 1886 release date, scheduled for the autumn of 2014, is completely unofficial for now, so to be sure that this is a truth we should wait for the developer’s announcement. Let us recall that The Order 1886 game is a first-person shooter, which is set in London in the late 19th century, about 40 years after the end of the Industrial Revolution. But there is one significant difference between the real history and the game. Here you will see a lot of mythical monsters and creatures that you, using different advanced weapons and gadgets, will have to kill in order to save the humanity. Which bonuses are offered for The Order 1886 pre-order?